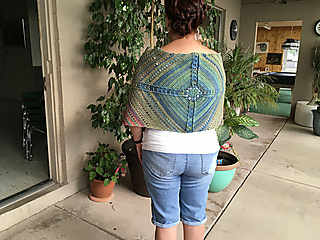 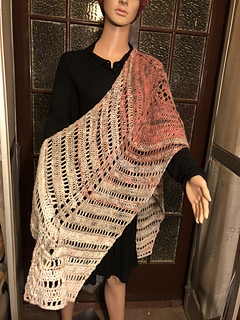 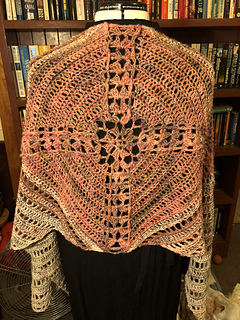 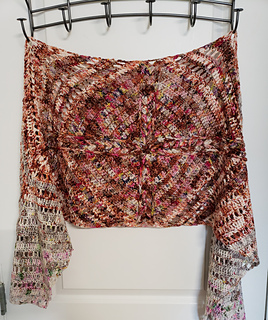 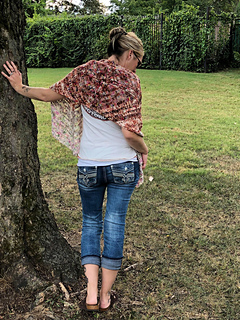 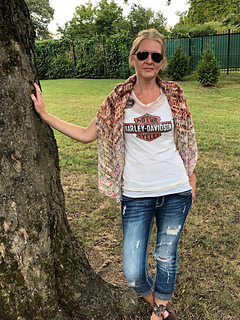 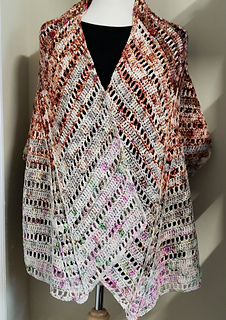 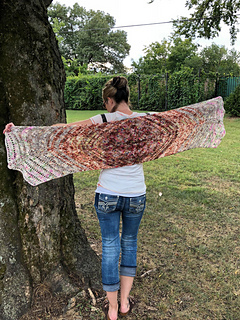 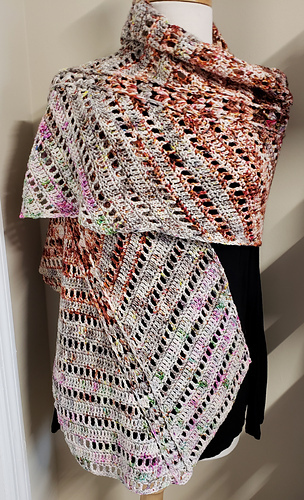 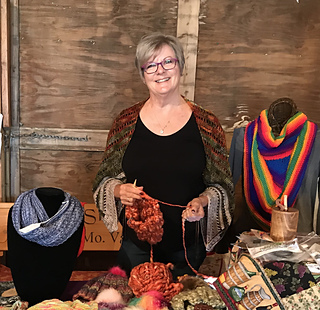 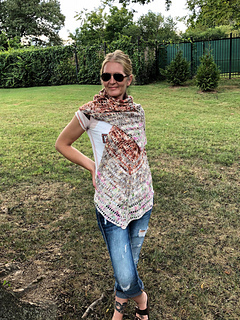 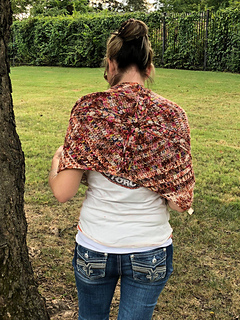 Faded Granny is the second in my Boho line of shawls. 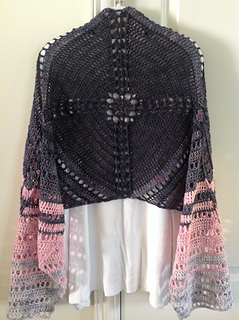 Incorporated into the design is a fade technique. 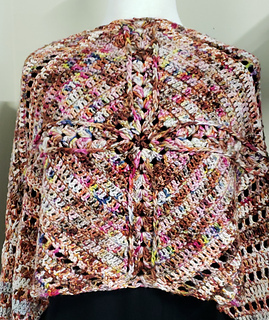 The pattern begins with a center “Granny Square” with the wings worked outward on each side to create the length. 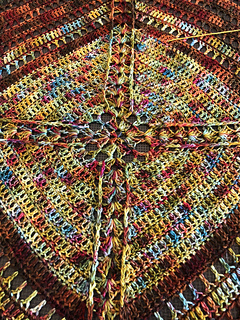 Finished dimensions are approximately Approximately 16” tall by 64” long . 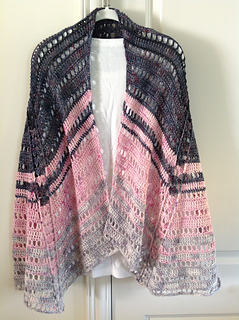 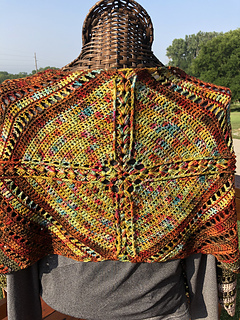 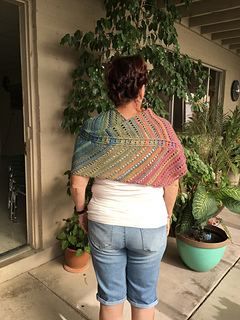 The design requires 4 different color skeins of a dk weight yarn to create the fade effect. 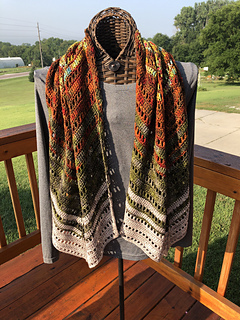 by A Whimsical Wood Yarn Co.